BEDFORD — The annual Bedford County Fair kicks off Sunday morning at the fairgrounds and continues until Saturday. Sunday hours are 9 a.m. to 10:30 p.m. The event, hosted by the Bed­ford County Agricul­tural Society, features various animal exhibitions, dem­onstrations, displays of artwork and home goods, motorsports, midway rides and entertainment throughout the week. It aims to “promote and educate the community in the science of agriculture, horticulture, household arts and family living,” according to its mission statement. Some of this year’s events include dog shows, draft animal judging, kids’ tractor pull, junior dairy showmanship, harness racing and air rifle and pistol contests. 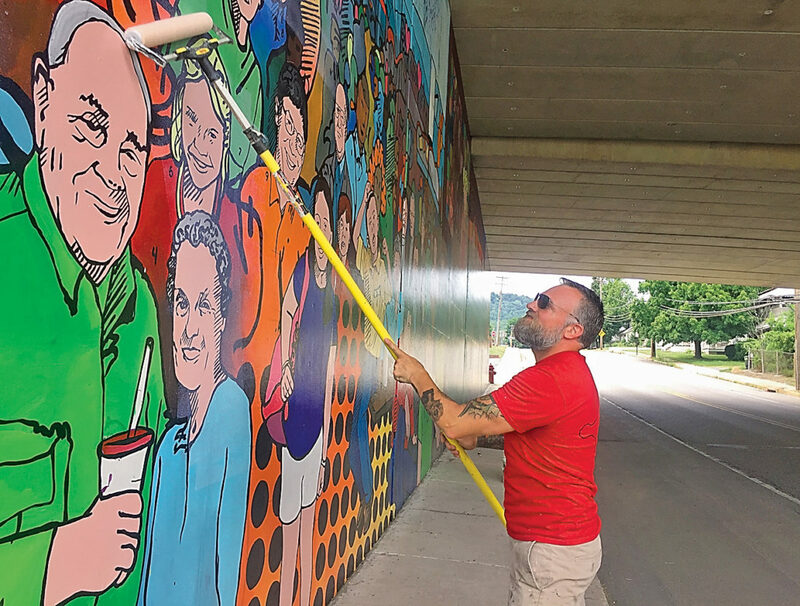 Event-goers can also check out the Bedford County Fair Mural painted by William Snyder III at the I-99 underpass along Route 30 West. The mural covers nearly 2,000 square feet of concrete and features local residents. Admission to the fairgrounds, grandstand events and mechanical rides costs $10 on Sunday and Tuesday through Saturday. Tickets are $5 on Monday. Children age 2 and younger get in free. Weekly walk-around tickets are $17 and include access every day to the livestock shows, fair food and exhibits. These tickets do not include rides, grandstand events or parking. Advance daily tickets are $9 and include rides and grandstand events. They can be purchased at the fair office until 4:30 p.m. today. They can also be purchased at Thomas Chevrolet from 9 a.m. to 3 p.m.